William Turner (1777-1842) originally of Mill Hill in Livesey, Blackburn, owned a calico printing mill. He was Member of Parliament for Blackburn from 1832-1841 and High Sheriff for Cheshire. He married his first cousin Jane Turner. 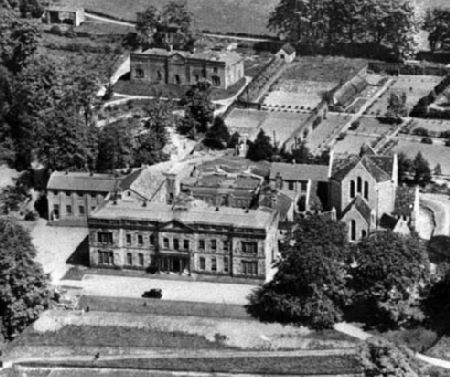 He bought Shrigley Hall (right) shortly before the death in 1819 of Edward Downes, and there were Turners there until 1929. William substantially rebuilt the Hall and also gave land for the building of St John’s Church, Bollington, (built 1834) and the original St. Gregory’s church in Chapel Street, Bollington. The Turner’s Arms Inn was built on his land and named in his honour – it was a shame that the name was changed in the late 1990s, but we are very pleased to see in 2016, after a re-furbishment, the name has been reprieved as The Turner’s! Perhaps we should name the area in front of the pub Turner Square; the refurbished toilet block in this area is called Turner Lodge. William of Mill Hill (and Shrigley Hall) and his wife Jane had only one child, a daughter Ellen, born 1811 (below). She was famously abducted aged 15 by Edward Gibbon Wakefield in a plot to secure her wealth. The marriage was annulled by Act of Parliament. The subsequent court case was the talk of the nation for months. A tale of anguish, deceit and violation of the domestic hearth, this gripping story is expertly told in the book, The Shrigley Abduction. Two years later in January 1829 Ellen was married to Thomas Legh of Lyme (1793-1857), the first born of the seven illegitimate children of Thomas Peter Legh. Ellen died in childbirth in January 1831 aged 19 and was buried in the Legh family vault at Winwick. The child, Ellen Jane Legh, survived. William of Mill Hill’s father was Robert (1734-1811), and Robert had a brother William (1727-1782). This latter William had six sons three of whom had cotton mills in Blackburn and three had woollen mills in Martholme. William’s daughter Jane married her first cousin William of Mill Hill. The brothers bought land in Helmshore for further mills, and William’s grandson, another William (1793-1852) operated Whitaker Mill in Helmshore and built Flax Moss House in Helmshore. He had 11 daughters and no sons. On 13th July 1841 his daughter Mary Ann married Richard Gaskell (1816-1849) in Haslingden. Richard Gaskell of Tower Hill, Rainow, was born at Ingersley Hall, son of Thomas Gaskell and brother of John Upton Gaskell. 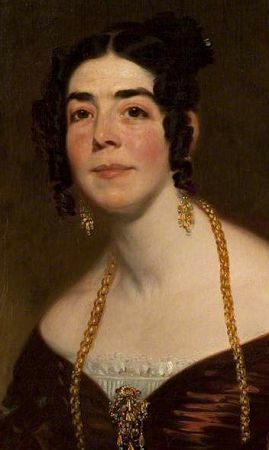 Ellen Turner, later Legh, and Mary Ann, wife of Richard Gaskell, were first cousins once removed. Thus the Gaskells and the Leghs became related by marriage. I am very much indebted to Bridget Franklin who carried out the research for this page and wrote the text.